What is the difference between an air-cooled engine and a liquid-cooled engine for a generator? What is the difference between running watts and starting (surge) watts? Can I connect a portable generator to my home? Do I need a transfer switch to connect a portable generator to my RV? What do I do if there are any missing parts or anything damaged in my box after unpacking? Can I run my generator continuously non-stop? What happens if the generator operates at low load at all times? What happens if I overload the generator? Can I start the generator with any applied load? Can I shut down the generator with load still on? Can I use the generator with an extension cord? How does the fuel valve work? Is it good to refill oil for my portable generator? What will happen to the engine if I use it without changing the oil? What happens if too much oil is added? What happens if the amount of oil is too small? Does high-octane gasoline, add to better fuel economy and give improved output? What kind of fuel and oil should I use in my portable generator? What will happen if I use another type of oil? Is there a need to exercise my generator? Is it possible to add an extension exhaust for the muffler? Can I vent out the exhaust from an indoor area? Can I run my portable generator in the garage with the door open? Does portable generator cause carbon monoxide poisoning? Can I build a soundproof box to lower the generator’s operating sound? Does the generator need to be grounded? What is a floating system? What can I do if I’m not planning to use my generator for more than 30 days? What is the life expectancy of my portable generator? Will my portable generator work in the Rain or Snow? Can I power wash my generator? Can I use gasoline to clean the generator? What is the best method to cleaning my generator? What to do if I get water in the fuel tank? To ensure proper use of your portable generator. We prepared a list of portable generators frequently asked questions FAQ. Having a question or facing some generator related issues read along. Air-cooled generators use fans to flow air for cooling the engine. While liquid-cooled generators use splash lubrication systems for cooling the engine. Generally, liquid-cooled engines are used on larger wattage generators. Running watts are the amount of power a generator produces continuously. On the other hand, starting watts are the amount of power a generator produces for short periods of time. Such as for starting up a connected appliance. Typically required for only a few seconds. Do not connect your generator directly to any electrical system. It could cause electrocution and cause damage to the equipment. A transfer switch must be installed to prevent damage. It’s advised that a transfer switch is installed by a professional electrician. Yes, just like connecting to your home. You would need a transfer switch to your motor-home (RV). Please contact the dealer selling the generator. Replacing the missing items or changing the whole unit should be accessible. Generators can run continuously as long as maintenance intervals are given. Since gasoline is a highly flammable fuel. Just like fueling a car, stop the engine before fueling. In addition, it is important to pay attention to the recommended maintenance schedule for your unit. Furthermore, never let the generator run out of fuel while it is under any load. If this happens, it could destroy the connected appliances or cause harm to the generator. Always ensure that your generator is operating properly. If operation is performed at all times at less than quarter load; this would result in a decline in the generator’s performance. Therefore, you should try to operate at full load from time to time; to ensure the generator’s long life. Most generators have circuit breakers to protect engine damage from overloading. If overloaded, the circuit breaker will trip. It will stop the power flow to protect the generator, as well as any connected equipment. It takes about 10 seconds for the breakers to cool down. Then, you should be able to reset them by pressing the breaker button. No, the engine of the generator needs to come up to the proper speed before applying any load. Therefore, doing otherwise may cause damage to your connected appliances. No, you must remove any connected appliances before turning the generator off. This prevents any connected appliance from harm that could happen due to slow engine speed. It is possible to use extension cords. While keeping in mind that a long cord will cause some drop in voltage. As a general rule, the voltage will drop by 2 – 3 volts for a 10-meter cord, 5 – 6 volts for a 20-meter cord, and 8 – 10 volts for the 30-meter cord. Therefore, using a very long cord is not recommended. A device that permits or stops the running of fuel to the engine. Before turning on the generator you should always keep the fuel valve open. Then it should be directly closed after turning off the generator. To prolong the life of the engine; it is recommended to change the total amount of oil regularly, without refilling. The reason is, engine oil gets ruined over time due to getting exposed to heat from the engine. The components would get damaged by time and would affect the generator’s life as well. Therefore, regular oil changes are recommended. This could lead to engine’s resistance increase, oil may leak out, or white smoke may be emitted from the exhaust. In some cases, there is also a possibility in performance decline. Therefore, always apply the amount of oil specified in the manual. With the low-oil shutoff function that is available in most generators. If the oil level is low, then the oil warning system activates. As a result, it prevents burning of the engine by stopping the engine. This is not correct. It does not improve fuel economy nor output. It is same as regular gasoline. Purchased from any gas station. Always refer to your generator’s manual. For a list of recommended fuel, oil, or any additives. It is not recommended. Follow the oil recommendations in the generator’s manual for proper usage. Engine performance could be affected if different oils are blended. Yes, simple maintenance is required. All generators require scheduled oil and filter changes. To ensure maximum performance for years of reliable service. Refer to the owner’s manual for routine maintenance procedures. Some portable generator models have built-in maintenance reminders on the control panel. Please contact the dealer selling the generator. No, it is not recommended. As there is a risk of decline in the engine’s performance and could damage the whole unit due to vibrations as well. No! Never run a generator in any type of indoor areas. Operate your generator only outside where there is plenty of airflow and ventilation. No! Use your portable generator only in an open area. 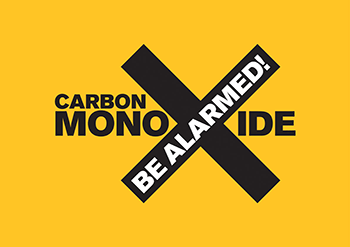 Running a generator in an enclosed area can be fatal due to carbon monoxide poisoning. Engine exhaust contains carbon monoxide CO. A poisonous gas that can kill in minutes. It has no smell, no taste, and no color. Only use your generator outside and far away from windows, doors, and vents. Direct the engine exhaust away from any occupied spaces. In addition, installing carbon monoxide alarms are highly recommended. As it could save a life from carbon monoxide poisoning if the generator exhaust enters the house in any way. For generator’s safety read the user manual’s instructions carefully before running your generator. This may cause problems; in the engine cooling, exhaust, and it can also make changes in the engine’s performance due to over heat and other difficulties. You should not surround your generator, nor cover it with a box during operation. However, for reducing some of the noise; most portable generators have suitable quiet mufflers to reduce the sound level. Yes, for safety, portable generators must be grounded properly. To avoid the risk of possible electrocution. A copper rod driven into the ground and a copper wire attached from the rod to the generator frame. This will give you solid protection against electrical shock. Furthermore, always check the regulations related to grounding your generator. A shock prevention system referred to as a floating system, adopted in some portable generators. This system doesn’t need to be grounded. For this reason, it eliminates the chances of an electric shock. As a result, it’s not necessary that a generator be grounded. However, if the generator is externally connected then it should be grounded via the grounding pole. Stale fuel is bad for your generator. Time varies upon regional conditions and may occur in as little as 15 days. Therefore, you should not keep gasoline stored for a long period of time. Please check with your servicing dealer for storage recommendations specific to your region. If you don’t plan to use your generator for long periods of time. Follow the storage guidelines in the user’s manual. It should cover all aspects of storage. Such as draining the fuel tank, adding a fuel stabilizer, and cleaning the carburetor, as well as storage precautions. The life of any generator is dependent on; the care it receives, as well as maintenance. In addition to the conditions under which it operates in. No, the generator needs to operate in a dry and safe location. No, the generator has many sensitive components. As a result, it could be damaged by water and the high pressure of the power washer. No, gasoline is dangerous and will ruin the paint as well. Compressed air. A damp cloth and soapy water. But avoid using too much water, and be careful not to touch any electrical components. First, drain the fuel from the fuel tank, and discard it in a safe manner. Then refill with fresh fuel. We hope we could answer all your portable generators frequently asked questions FAQ. Having any further questions feel free to get in touch with us. Submit your questions in the comment section below. You may also be interested to check our quietest generators, inverter generators, RV generators, or solar power portable generators lists. It could be due to a number of reasons, but in general it’s better to leave the echo throttle off if you’re expecting the generator to handle powerful machines. Echo throttle is better used when you have a gradual load variation on the generator with light-duty appliances running. That’s good to know that if a generator runs out of fuel that it can destroy the connected appliances or cause damage to the generator. My husband wants to get a generator for his camping trips so I decided to look into it for him for Christmas. I’ll have to see what type of generator is easy to transport and then make sure we can fuel it regularly so we can avoid any damage to appliances.